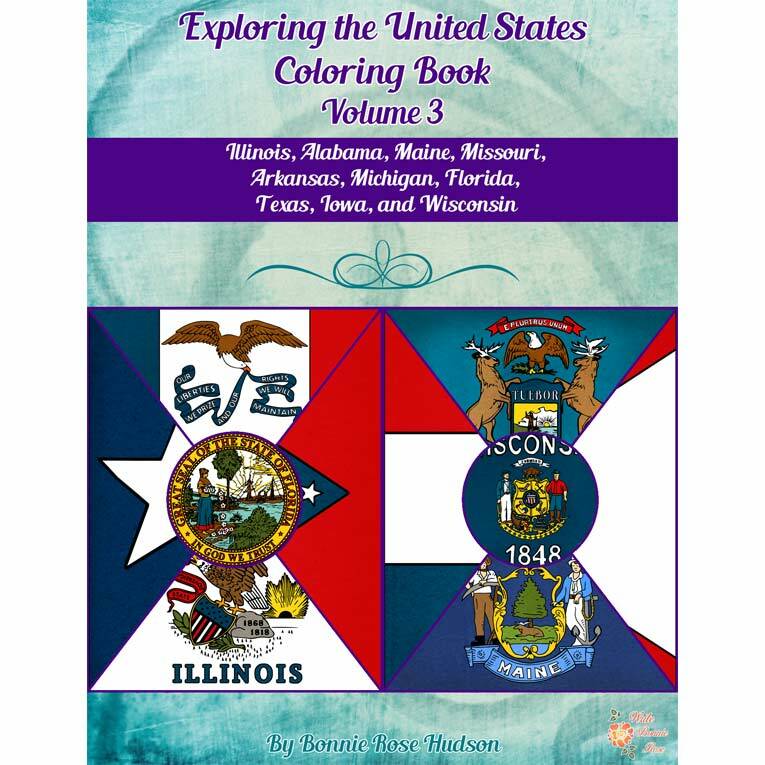 50 states, 5 eBooks, and 425 pages are included in this United States bundle! We’ll discover various state icons such as the animals, important people, key places, state flag, and more. 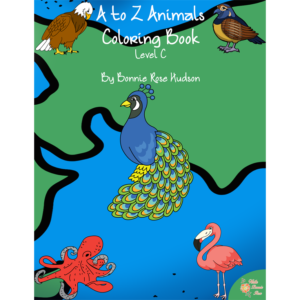 Available in print and cursive handwriting versions. 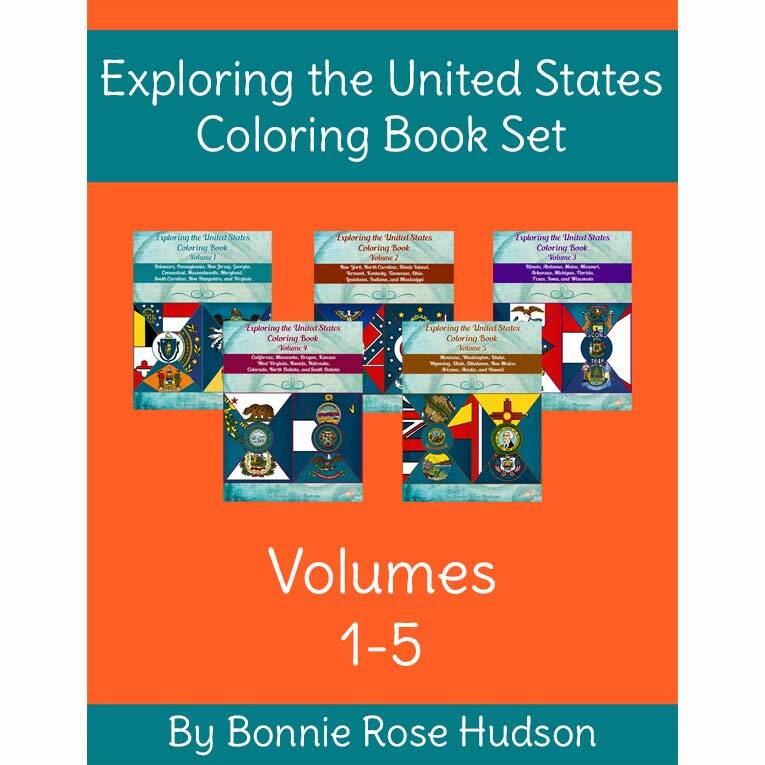 See a preview of Exploring the United States Coloring Book with Print Copywork Bundle. 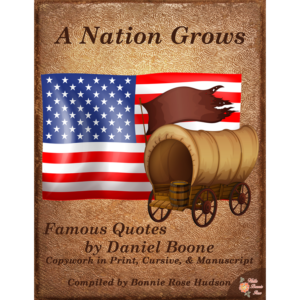 50 states, 5 eBooks, and 425 pages are included in this United States bundle! We’ll discover various state icons such as the animals, important people, key places, and more. The state flag and an outline of each state are also included for a total of ten or more items per state. 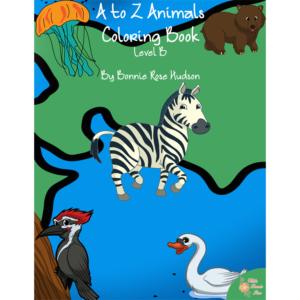 Available in print and cursive handwriting versions. 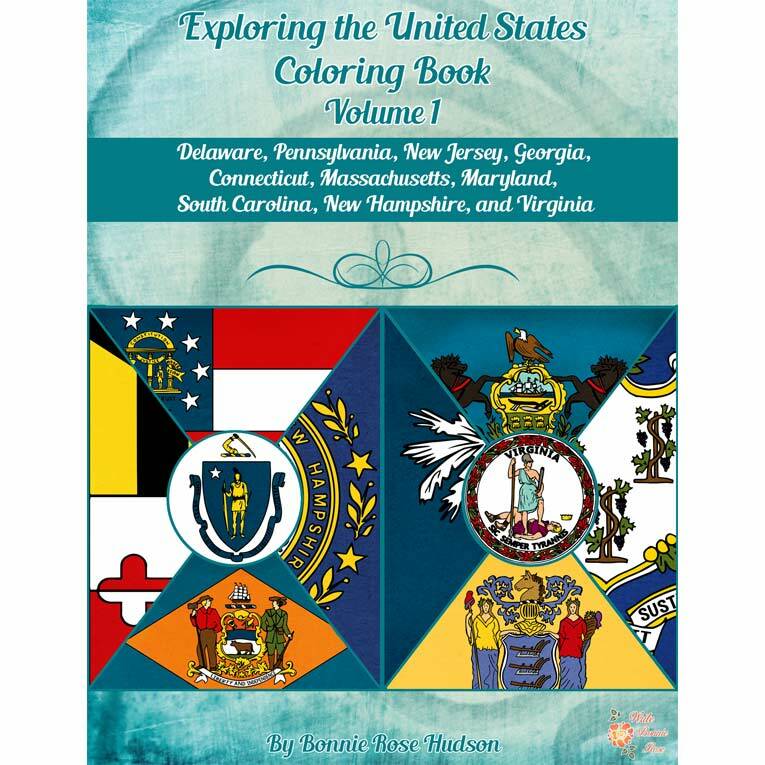 Exploring the United States Coloring Book, Volume 1 looks at the state symbols, landmarks, and other items associated with the states of Delaware, Pennsylvania, New Jersey, Georgia, Connecticut, Massachusetts, Maryland, South Carolina, New Hampshire, and Virginia. We’ll discover their animals, important places, and more. Ten items, plus the state flag and an outline of the state, are included for each. Simple traceable cursive handwriting practice is included with each picture so your kids can learn history and handwriting all at the same time! 85 pages total. 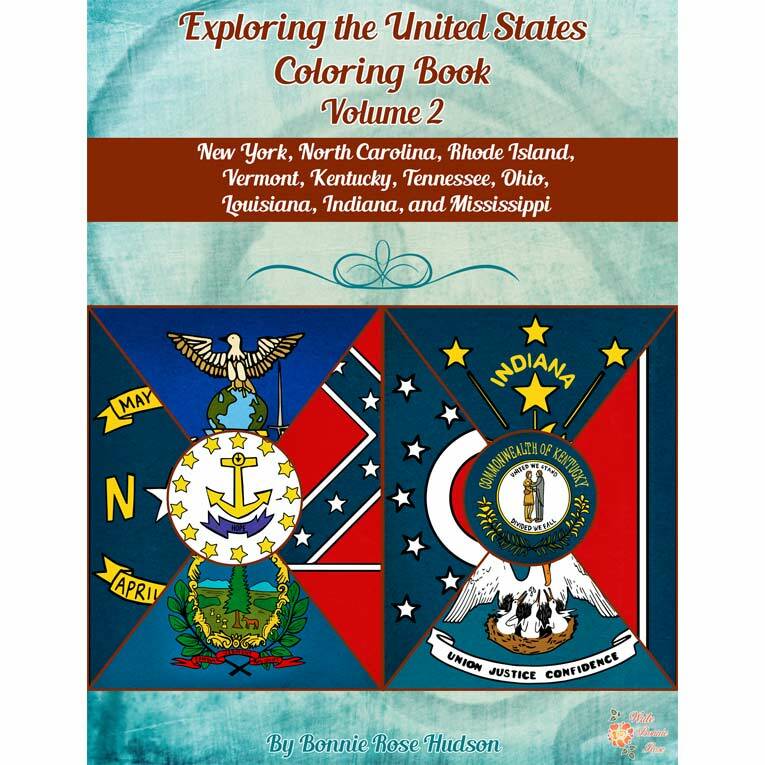 Exploring the United States Coloring Book, Volume 2 looks at the state symbols, landmarks, and other items associated with the states of North Carolina, Rhode Island, Vermont, Kentucky, Tennessee, Ohio, Louisiana, Indiana, and Mississippi. We’ll discover their animals, important places, and more. Ten items, plus the state flag and an outline of the state, are included for each. Simple traceable cursive handwriting practice is included with each picture so your kids can learn history and handwriting all at the same time! 85 pages total. 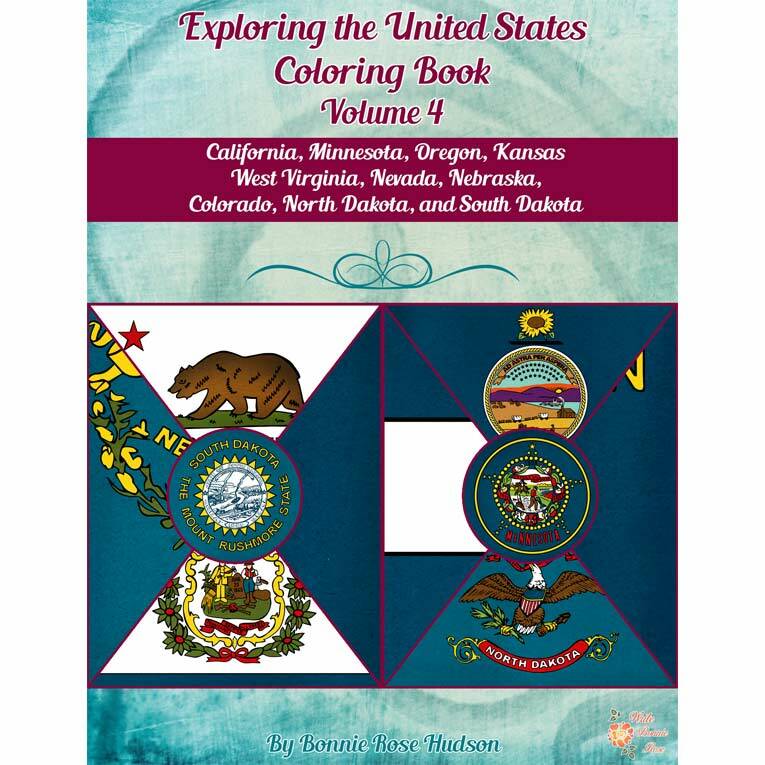 Exploring the United States Coloring Book, Volume 4 looks at the state symbols, landmarks, and other items associated with the states of California, Minnesota, Oregon, Kansas, West Virginia, Nevada, Nebraska, Colorado, North Dakota, and South Dakota. We’ll discover their animals, important places, and more. Ten items, plus the state flag and an outline of the state, are included for each. Simple traceable cursive handwriting practice is included with each picture so your kids can learn history and handwriting all at the same time! 85 pages total. 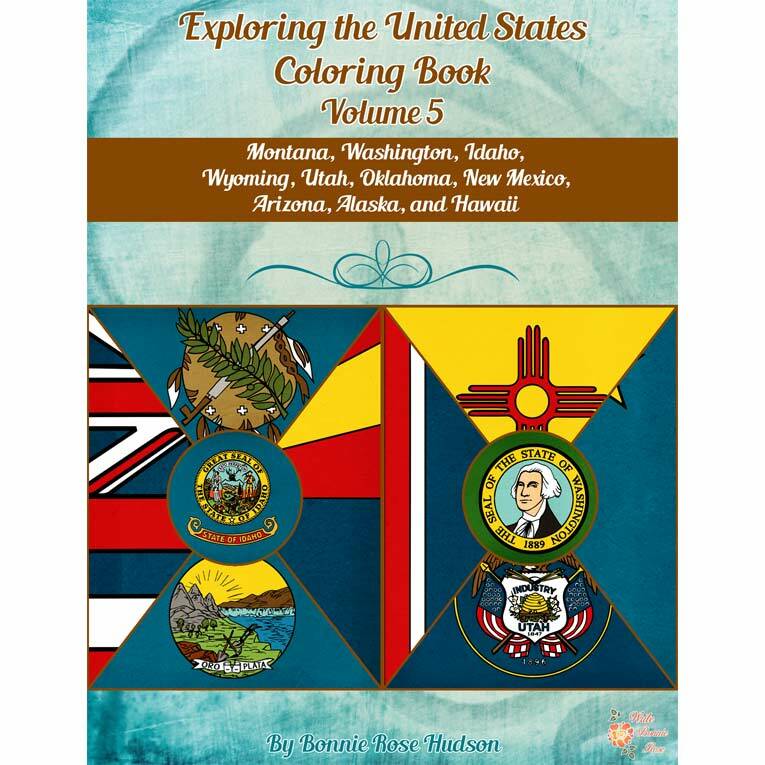 Exploring the United States Coloring Book, Volume 5 looks at the state symbols, landmarks, and other items associated with the states of Montana, Washington, Idaho, Wyoming, Utah, Oklahoma, New Mexico, Arizona, Alaska, and Hawaii. We’ll discover their animals, important places, and more. Ten items, plus the state flag and an outline of the state, are included for each. Simple traceable cursive handwriting practice is included with each picture so your kids can learn history and handwriting all at the same time! 85 pages total. 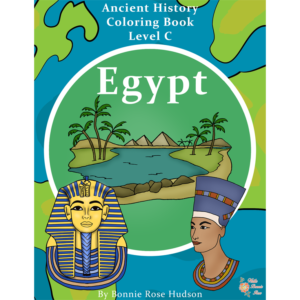 You may also enjoy the Exploring the United States Puzzles, Activities, and Map Work Bundle and the Exploring the United States Timelines, Critical Thinking, and Map Work Bundle.